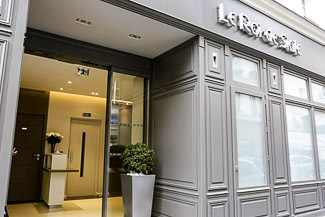 Choose from an assortment of reliable hotels in the Fourth Arrondissement, within a short walk of the Seine. 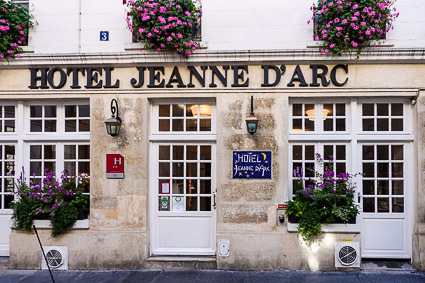 ABOVE: The Hotel Jeanne d'Arc Le Marais is a three-star hotel on a quiet street between the Saint-Paul Métro station and the Place des Vosges. The Marais is one of the few Paris districts that retain a medieval layout. While other areas of Paris were razed and rebuilt during the mid- to late 19th Century, the Marais was largely left alone. Today, much of the historic neighborhood is still made up of tiny streets and squares, with the Place des Vosges (the oldest planned square of Paris) as its centerpiece. 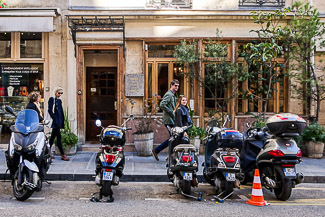 The Marais also has a history as the center of Jewish Paris, although delicatessens and other traditional Jewish establishments are outnumbered by gay and lesbian bars these days. Its human scale and neighborhood atmosphere. 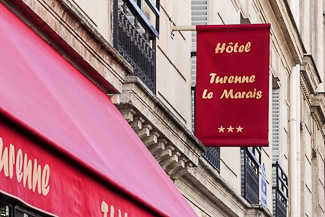 Although parts of the Marais extend into the 3rd arrodissement, we think you'll be happier with a hotel in the 4th. 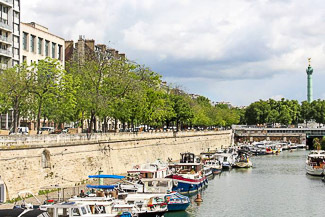 Our reasoning is simple: The 4th arrodissement is more central and is closer to the River Seine. The listings below represent a sampling of reliable hotels in the 4th Arrodissement. For more choices, visit Booking.com's Paris listings, enter your travel dates, and narrow the results by selecting "4th arr." 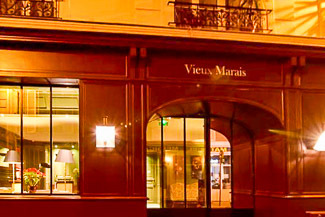 or "Le Marais." In most Paris hotels, you'll pay extra for breakfast. If this bothers you, you may be able to save a few euros by buying a simple breakfast at a nearby bakery-coffee shop such as Paul or our own favorite, Miss Manon (both of which are a few doors west of the the Saint-Paul Métro stop). 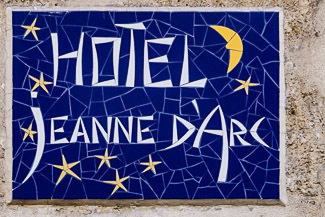 Not all Paris hotels are air-conditioned, especially in the one-, two-, and (often) three-star categories. If you're visiting in the summer and don't like heat, check whether a hotel has air conditioning before you book. The hotel listings below have guest-rating scores that are drawn in real time from Booking.com's database. If you're on a slow or metered connection, try the faster-loading mobile version of this article, which lacks the scores. For modern, upscale intimacy with room to breathe, the Dupond-Smith is the boutique hotel to beat. It has eight rooms (including a huge one-bedroom suite), and even the most basic room--a superior queen--is large by Parisian standards. Pets are allowed at no extra charge, and Wi-Fi is free. 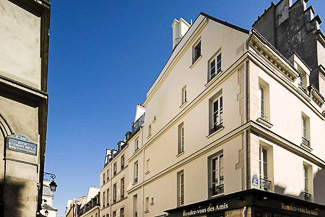 The Dupond-Smith is located in the center of the Marais, a few blocks from the Hôtel de Ville Métro station. 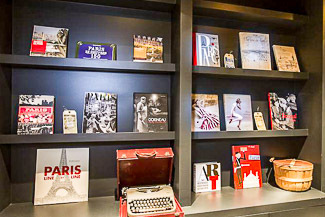 The Duo is a 58-room "design hotel" on the Rue du Temple, not far from the Hôtel de Ville Métro station. In addition to the usual singles, doubles, twins, and triples, it has junior suites and one-bedroom suites with sofa beds. Amenities include a modern lounge with bar, a sauna, a well-equipped fitness room, and free Wi-Fi. This stylish hotel occupies a 17th Century convent, but the nuns who once lived here wouldn't recognize the place: The Joséphine Bonaparte's rich decor has a flamboyance that would make a Mother Superior wince with disapproval. 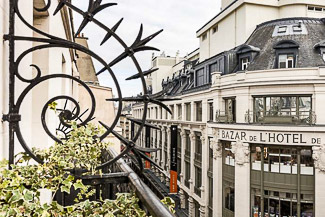 The location couldn't be better: The hotel is on the Rue d'Ormesson, only a short walk from the Saint-Paul Métro station, the Place des Vosges, local restaurants, and the Bastille Ópera. 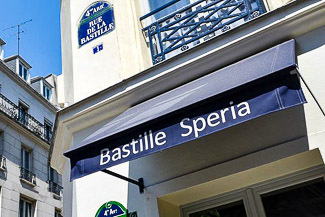 The Bastille Speria is convenient for laptop users, since it has a desk in each of its 42 rooms. (Free Wi-Fi is also included.) Pets are welcome. 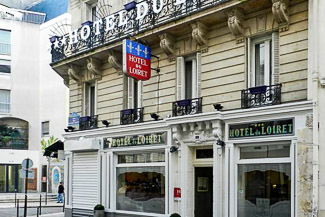 The hotel is on the Rue de la Bastille, just off the Rue Saint-Antoine (the main business street of the Marais) near the Bastille Métro station. 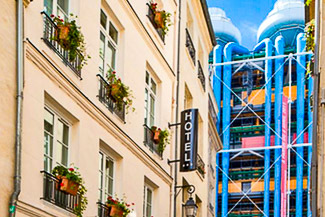 The Centre Pompidou modern-art museum is just up the street from the Hotel Beaubourg, which is located on the Rue Simon le Franc between the Hôtel de Ville and Rambuteau Métro stations. 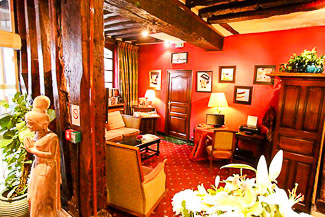 This tiny 16-room hotel is on the rue de Birague, between the historic Place des Vosges and the shops of the Rue Saint-Antoine. Its decor blends contemporary design with exposed bricks and wooden beams. All rooms have Wi-Fi at no extra charge. The Bastille Métro station is within walking distance. From it, you can take Métro lines 1, 5, and 8 to destinations throughout the city. 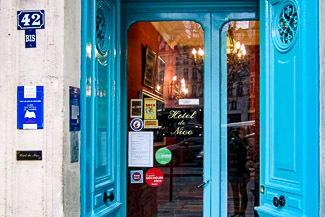 "Unique" is the watchword for this hotel north of the Rue de Rivoli, within a short walk of the Hótel de Ville Métro station. Each of the 29 rooms has a distinct decor (some rooms have exposed beams), and the ornately-furnished lobby will remind you that the hotel began life as a 17th Century mansion. In-room amenities include desks and free Wi-Fi (but no air conditioning, so be aware if you're visiting in midsummer). 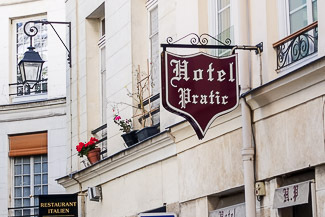 We love this small, stylish hotel's location: It's just off the Place Sainte Catherine, a pretty little neighborhood square with cafés and park benches. The Caron has 18 single and double rooms, all with free Wi-Fi. The Saint-Paul Métro stop is only a minute or two away. 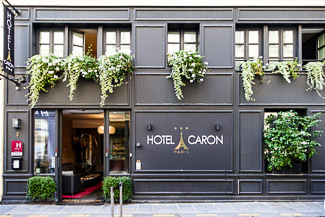 In nice weather, you can enjoy the small garden courtyard at this 31-room hotel between the Rue Saint-Antoine and the Seine near the Bastille Métro hub. Standard in-room amenities include a mini-fridge, an electric kettle with tea and coffee, free Wi-Fi, and a bottle of wine. Note: Rooms aren't air-conditioned, so this isn't the best place to stay in July or August. This family-owned hotel is only a minute or two from the Saint-Paul Métro station, so the location is hard to beat. Breakfast is served in an historic wine cellar with exposed stone walls and vaulted ceilings. All of the hotel's 28 single, double, and triple rooms are air-conditioned, with free Wi-Fi. The 21 single and double rooms are air-conditioned, with free Wi-Fi. The location isn't bad, either: just south of the Rue Saint-Antoine, within walking distance of the Saint-Paul, Bastille, and Sully-Morland Métro stations. Rooms include singles, doubles, and twins, all with free Wi-Fi. The "Old Marais" is a few blocks north of the Hôtel de Ville (Paris City Hall) and its Métro station. The hotel's 30 single, double, twin, and triple rooms are air-conditioned, have desks, and include free Wi-Fi. 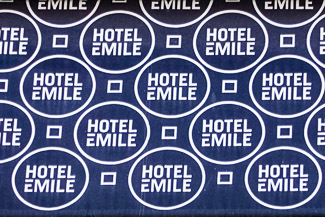 The 29-room Hotel Emile is only a short walk from the Saint-Paul Métro station, which offers quick access to museums and attractions along the Right Bank of the Seine. Amenities include Free Wi-Fi and a bar. Note: In some rooms, only the toilet is enclosed, and the sink may be in the glass shower stall. A number of rooms have freestanding clawfoot tubs where you can put on a show for your companion. The Joan of Arc has 34 rooms (all with free Wi-Fi) and a choice of single, double or twin beds. There's even a family suite with beds for four guests. 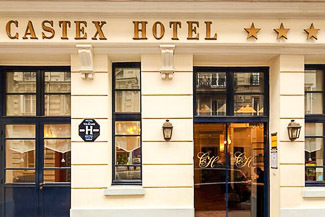 The hotel is slightly west of the Place des Vosges and a few blocks from the Saint-Paul Métro station. The Place de la Bastille, with its opera house and Métro hub, is also within walking distance. This mid-priced hotel is a bit larger than its peers, with 41 single, double, twin, and triple rooms (all offering bathrooms with tubs and free Wi-Fi.) Breakfast is a bit pricey, so we'd suggest loading up at the buffet instead of opting for room service. The hotel is on the Rue de Turenne, a block north of the Rue Saint-Antoine and about four blocks from the Saint-Paul Métro station. The cheerfully-decorated D'win Hotel is affordable but pleasant, with 33 air-conditioned rooms (all offering free Wi-Fi), including a family room that can accommodate three adults. It even has a small patio. 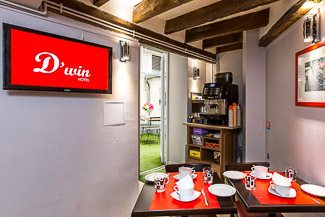 The D'win is conveniently located near the Hôtel de Ville Métro station, a few blocks north of the Seine and the Ile de la Cité. The Pratic is a great value, with a location near the Saint-Paul Métro stop and the lovely Place des Vosges. The hotel's 23 single, double, and twin rooms offer free Wi-Fi. Several types of suites are available, individually or combined into a family suite that's bigger than most Paris apartments. "The King of Sicily" has eight apartments, including a studio with disabled access, a one-bedroom flat, and a duplex suite. 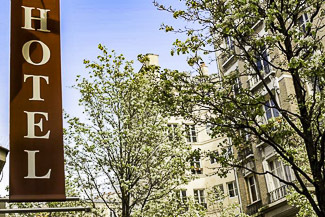 It's conveniently located on the Rue du Roi de Sicile, just off the Rue de Rivoli within walking distance of the Hôtel de Ville and Saint-Paul Métro stations. Each apartment has a fully-equipped kitchen. Wi-Fi and daily housekeeping are included in the rates. The "First Floor Marais" has five modern, upscale, air-conditioned guest rooms in an apartment where guests are largely on their own outside the morning hours. 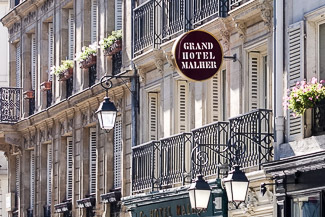 All rooms are equipped with free Wi-Fi, and (unusually for Paris) breakfast is included in the rates. 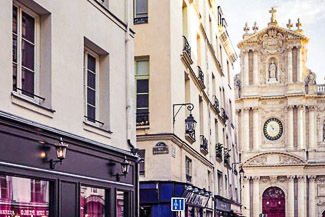 The 1er Étage Marais is located just off the Rue des Archives, a few blocks north of the Hôtel de Ville in the most central part of the Marais. Looking for more hotel options? Visit Booking.com's Paris listings, enter your travel dates, and narrow the results by choosing"4th arr." or "Le Marais."